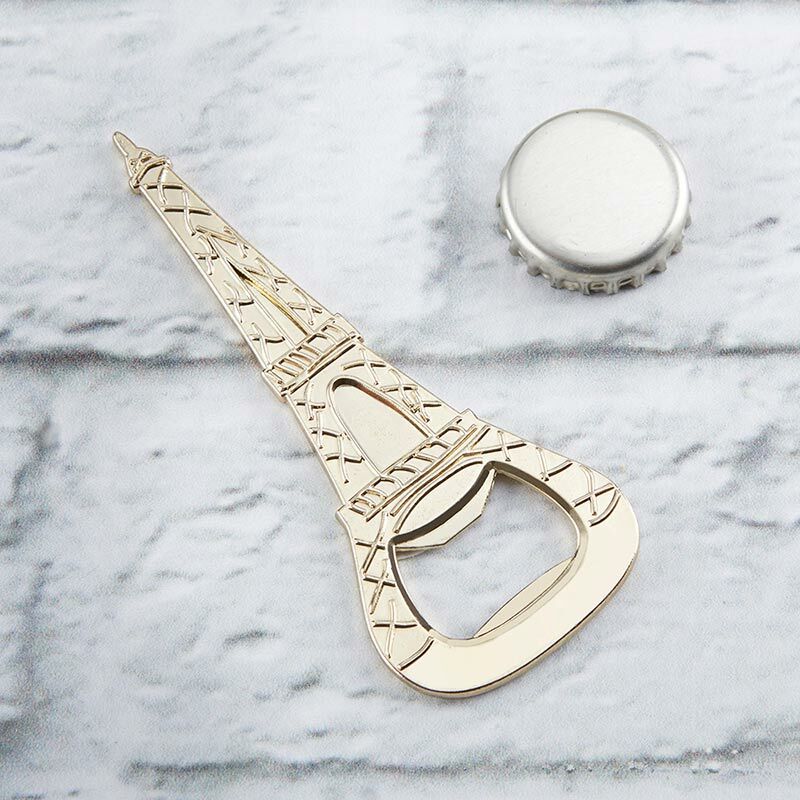 Trendy Eiffel Tower bottle opener wedding favors with gold color finish. 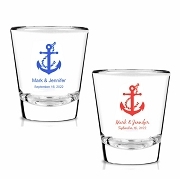 Every travel themed wedding should have favors that fit the bill! 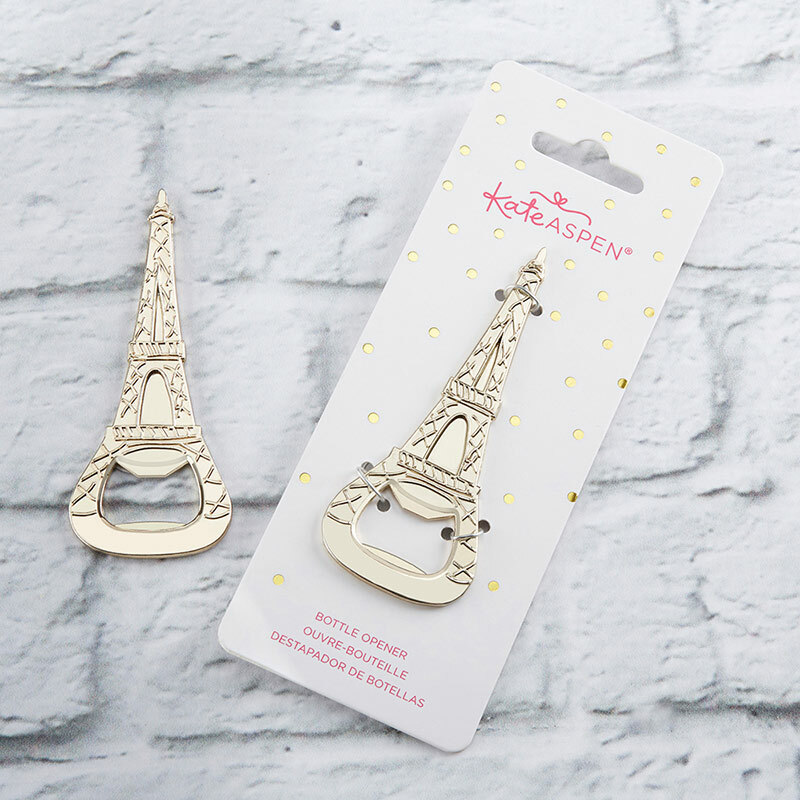 That's why your guests are sure to love this Gold Eiffel Tower Bottle Opener wedding favor. 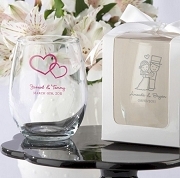 When your recipients use them, they'll remember how your special event was "magnifique"! 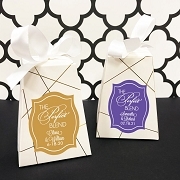 Packaged gift measures: 2.6" w x 7" h x 0.2" d.